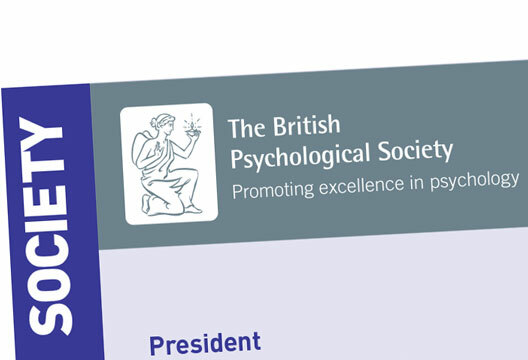 The role of President of the British Psychological Society is explicitly a position of leadership. Not a personal platform, but a responsibility to promote psychology ‘pure and applied’. My vision of psychology emphasises the existential value and agency of human beings, individually and collectively, and affirms their ability to improve their lives through the use of reason and ingenuity. That includes pure research, the scientific process leading to new insights. But it also means applying what we know. Using those insights and our ingenuity to improve the lives of our fellow humans. Psychology is about the things that matter – relationships, optimism, a sense of meaning, personal agency. Similarly, philosophical concepts – fairness, respect, identity, equity, dignity and autonomy – underpin our fundamental human rights and have clear links to psychology. Therefore, psychology also embraces action. We are well placed to help protect the most vulnerable – children, migrants, survivors of hate crimes, abuse and bullying, people with disabilities and people in receipt of state benefits (and for whom I’m proud the Society has been campaigning), those living with dementia or experiencing challenges to their mental health. And, yes, this means embracing the political agenda. In Martin Luther King’s words; ‘there are things in our society to which we must always be maladjusted if we are to be people of good will’. As I come to the end of my term as President, my principal regret is that we should have been more authoritative. We can look to colleagues in ‘Psychologists Against Austerity’ as a model for confident, evidence-based, lobbying. I’m very proud of what we’ve done, but we could have done more to condemn xenophobia and falsehoods, hate-filled political rhetoric, increasing inequality, threats to social inclusion and humanitarian principles. And we can still do more to encourage involvement in political discussions, to engage more assertively with threats to welfare and public services, and with the daily violation of fundamental human rights in mental health care. Psychology is a discipline whose time has come, as a force for social change. People want to hear what we have to say, and the Society is – or should be – an organisation through which people can join together, capitalise on our passion and sense of vocation, to harness the huge reserves of passion, knowledge and commitment among members in order to do good in the world, and make a difference.